DUBAI: It was one of those days when it rained cats and dogs. But luckily enough, we did get a game going at the Dubai International Cricket Stadium. And then there was the impending storm. Chris Gayle hadn’t fired all tournament, up until now that is. 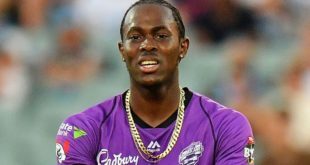 The big-hitting West Indian perhaps took a leaf out of his countryman and Karachi Kings teammate Kieron Pollard’s heroic act on Saturday night, a game that he sat out. 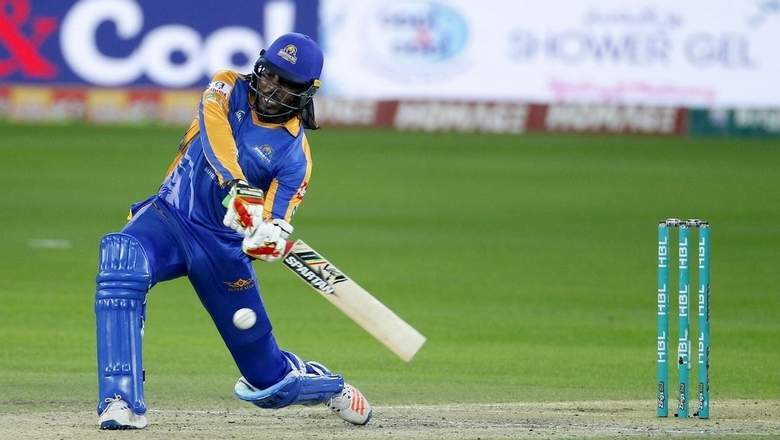 Swapping places again with Mahela Jayawardene, Gayle finally found his mojo to lay the rails for Karachi Kings’ confirmation in the HBL Pakistan Super League (PSL) play-offs on Sunday night. Needing 124 after the match was reduced to 15 overs a side, Gayle coshed a 17-ball 44 with five massive sixes and two boundaries. And although the Karachi Kings floundered a bit, they scrapped through by six wickets and with a ball to spare. Karachi Kings’ win meant that the Lahore Qalandars will be booking their flight tickets soon enough. Lahore had a glimmer of hope had the Karachi Kings finished on 110 or lower. But Kumar Sangakkara’s side got past 111 to seal their berth and then went on to clinch the win. And it will be a repeat fixture between the Karachi Kings and Islamabad United in the play-offs at the Sharjah Cricket Stadium on Wednesday night after they finished third and fourth respectively, on the points table. Table toppers Peshawar Zalmi will take on the Quetta Gladiators in the first play-off, also at the Sharjah Cricket Stadium, on Tuesday night. Players such as Gayle can make a mockery of totals and that’s what the Jamaican did. Gayle had got going with an edged boundary off the towering fast bowler Mohammad Irfan. 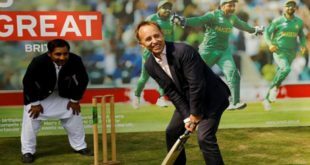 He later went on to smoke the same bowler for two successive sixes and a boundary in one over. 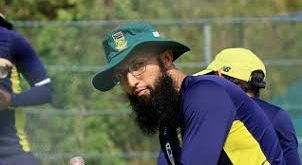 And there was more to come from the man with the dreadlocks, with him smacking off-spinner Saeed Ajmal for three consecutive sixes before he fell in the same over. Earlier, it was probably a miracle that we got a game going considering that the rain was spitting down on Dubai. There was a one-and-a-half-hour delay because of the rain and the ground staff worked tirelessly to have a match on. The consequence of the rain was that the Islamabad United team bus was stuck in slow-moving traffic on Shaikh Zayed Road before negotiating the puddles to make it to the Stadium. The covers finally came off at 8.30 p.m after which the umpires had an inspection. They then said that the toss would be held at 9.10 p.m and play would start at 9.30 p.m, with it being 15 overs a side. 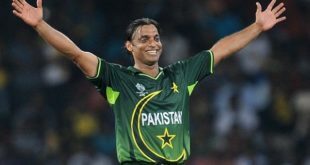 And asked to bat by Kumar Sangakkara, Islamabad United went on to post 123 for the loss of seven wickets. Opener Dwayne Smith top scored with 49 from 36 deliveries with seven boundaries and a six, and the West Indian missed out on what would have been a third half-century in the competition. Wicketkeeper-batsman Brad Haddin made a 12-ball 20. Fast bowler Sohail Khan, the highest wicket-taker in the tournament so far, picked up two for 23, while left-arm pacers Mohammad Amir and Usman Khan too took two wickets apiece. Smith had got things going with a boundary off the first ball of the innings, punching left-arm spinner Imad Wasim past extra cover. He followed that up with another boundary off the fourth ball of the over. Smith and opening partner Ben Duckett put on 37 runs for the first wicket before left-hander Duckett was caught by Kieron Pollard, the man who had kept the Karachi Kings in contention. Pollard was to go on and gobble three more catches to make it four from the game. Smith then added 20 runs for the second wicket with Hussain Talat, who made 16 from 13 balls, with the help of three boundaries. After Shane Watson fell cheaply for two, caught by Pollard off Sohail Khan, Smith and Brad Haddin were involved in a 40-run stand for the fourth wicket, the highest partnership of their innings. Pollard and Usman Khan combined to dismiss Haddin after which Pollard took an absolute blinder, a one-handed catch near the ropes, to deny Smith his half-century. Islamabad United: 123-7 in 15 overs (Dwayne Smith 49, Brad Haddin 20, Sohail Khan 2-23, Mohammad Amir 2-25, Usman Khan 2-25) lost to Karachi Kings: 127-4 in 14.5 overs (Chris Gayle 44, Babar Azam 27, Kieron Pollard 20, Shadab Khan 3-13) by 6 wickets.